ANDERSON TWP., Ohio – Cincinnati police reported a local U.S. Marine veteran "critically" missing Wednesday. Anthony “Tony” Pastura, 33, served multiple combat tours and suffers from post traumatic stress disorder. Police officials said Pastura has threatened suicide in the past and was last seen Monday. "He has three children, so I was really in shock then that something's going on with him or whatever. So, I mean, I think everybody's in shock that this has happened," family friend Vicky Giesting said. Pastura, of Anderson Township, is possibly driving a dark blue, 2006 Jeep Grand Cherokee with Ohio license plate “169YIE," according to police. 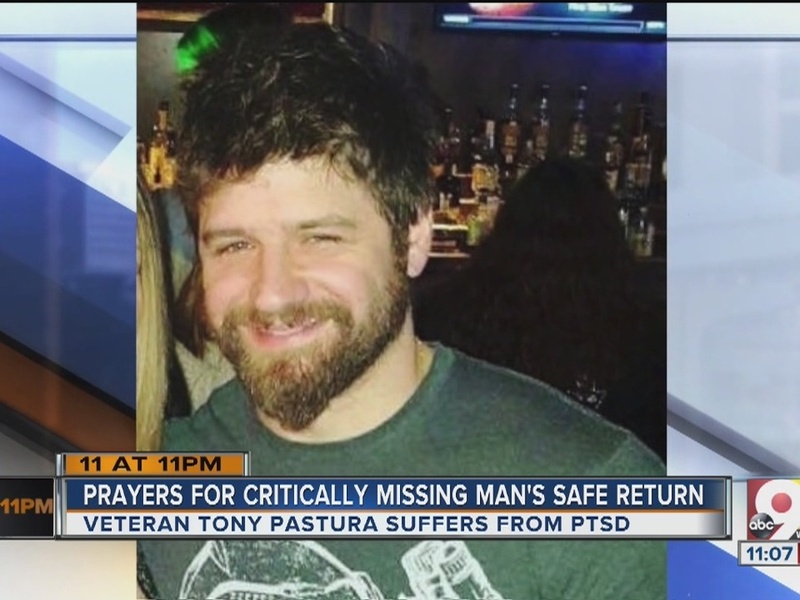 Anyone with information on Pastura's whereabouts is asked to contact Detective Kevin Manos at 513-851-6000 or CrimeStoppers at 513-352-3040.